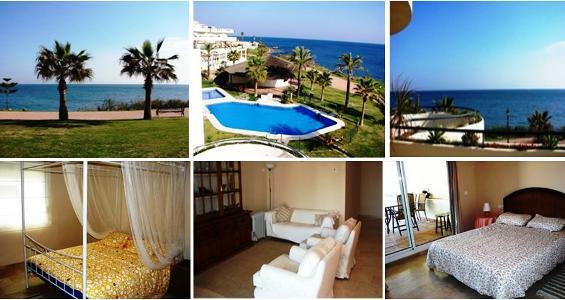 Beautiful Beach Front Apartment Four bedroom with Great Views. The beach front setting on the Playa De Casares of this spacious 4 bedroom apartment means it must be seen to be fully appreciated. This beautiful property has large terraces with totally unobstructed views out onto the glistening mediteranean, which is a mere 30 metres away over the beautiful promenade which runs in front of the property. With a large living room and well proportioned lay out for the four bedrooms, this property gives the feeling of being more of a villa than an apartment. It is located next to the communal pool and 50 metres from the communal paddle tennis courts. The Bermuda Beach development is two minutes drive from Sabinillas and Puerto De La Duquesa to the south, and ideal for commuting to Gibraltar. To Enquire Click Here Now !